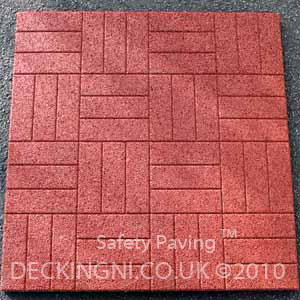 Rubber Safety Paving™ (1mx1mx35mm tiles):Anti-slip,Cushions falls,porous & free draining. 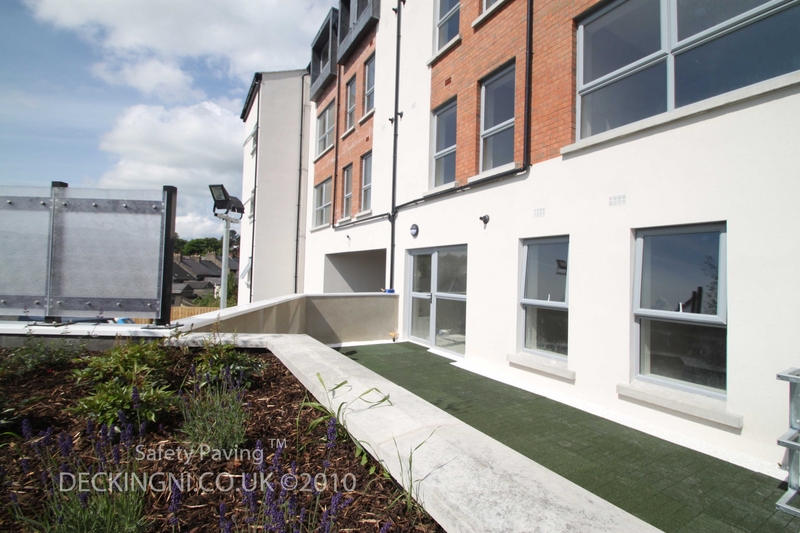 Rubber Safety paving™ can prevent slip related accidents occurring in the first place, in the event of a fall, rubber safety paving™ tiles will cushion the impact, thereby protecting the person from serious injury. 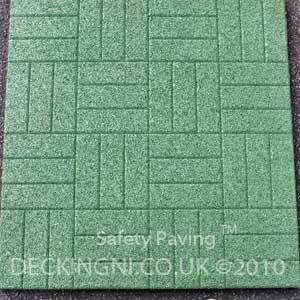 As these patio paving tiles are a porous, free draining flooring system. 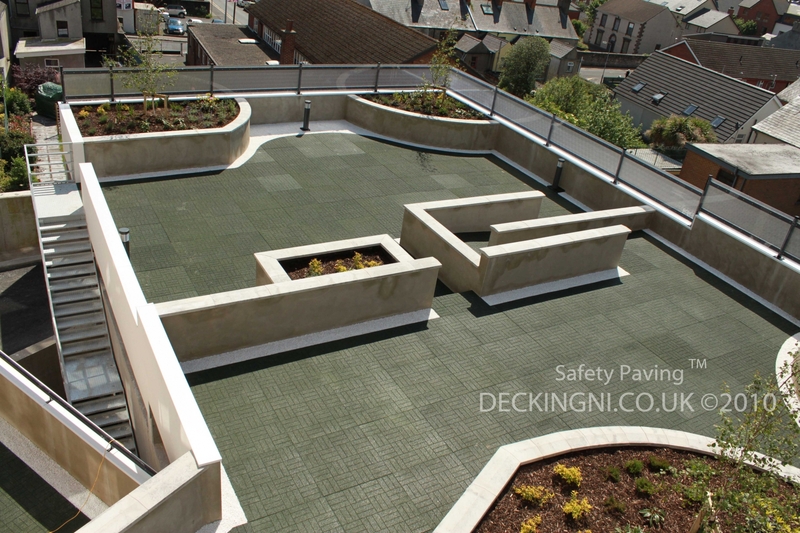 they allow rain water to pass straight through the rubber safety paving™ tiles. Under the influence of gravity the rain water follows the channels on the underside of each paving tile to the lowest point, normally to a storm water system. 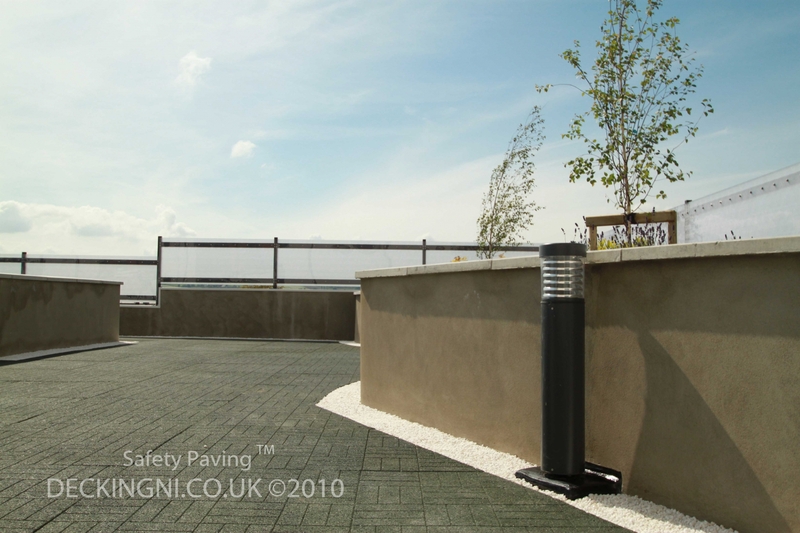 This attribute makes our rubber paving™ tiles an excellent anti slip choice for flooring patios, roof gardens, roof terraces, balconies and play areas. 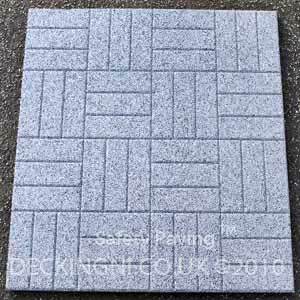 As an Anti-slip alternative to timber decking - the Standard tile depth is 35mm but we can also produce a 50mm deep safety paving tile if required. 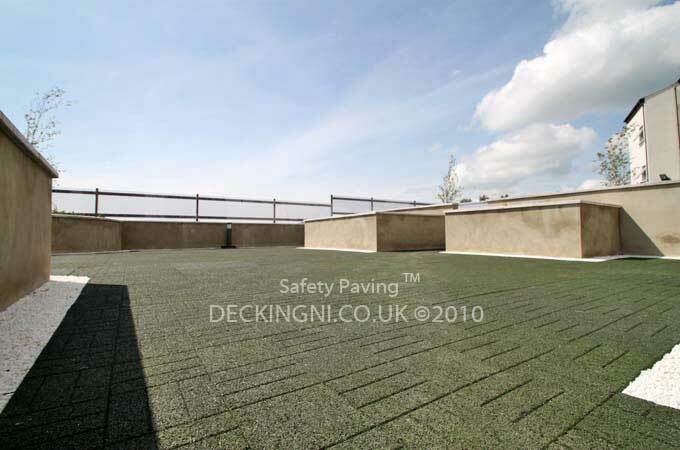 Rubber Safety Paving™ does not require a supporting frame or packers to elevate it above the base. shims, framing and decking). 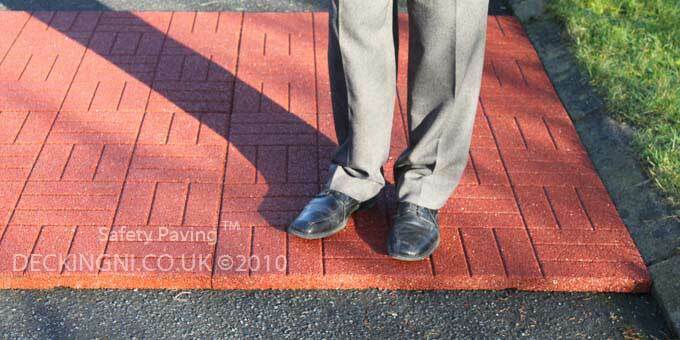 The rubber safety paving™ tiles are excellent for every type of footwear including stiletto heels. 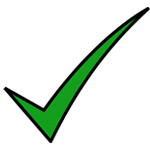 Create designs using system eg Roadways etc. 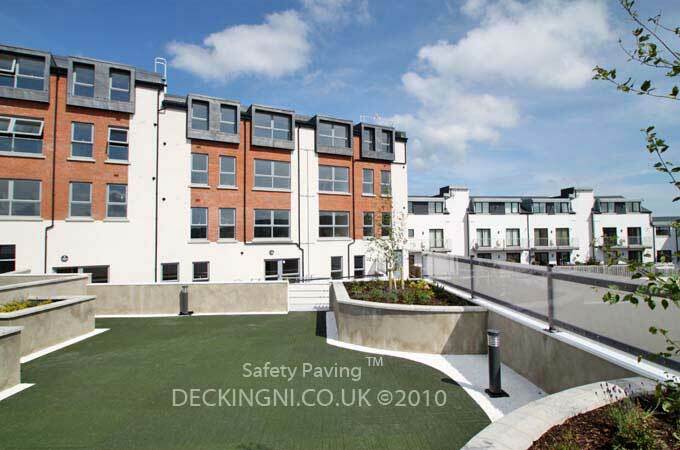 Project: Eco Roof Garden (x40 Apartment Block) Newtownards, Northern Ireland.